The channel is made up of four types of managed service provider (MSP), with each standing to dictate the terms on which a business owner can negotiate an exit strategy. Amid an increased era of mergers and acquisitions (M&A) activity locally - with partners either buying or selling businesses every four days - the DNA of the business will impact the value placed on it by outside investors. Unveiled during IT Nation Connect in Australia, MSPs can be defined as servitude; lifestyle; growth or hyper-growth businesses, each carrying pros and cons for the entrepreneur steering the ship. 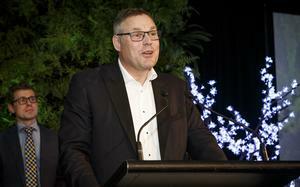 In addressing more than 500 attendees on the Gold Coast, Sorensen said the market is made up of these four types of companies, with the onus now on business owners to self-identify. “The first one is servitude,” Sorensen explained. “This is a company in which the entrepreneur lives to work, that’s all they think about. They get up in the morning, go and do their job and tomorrow, they do it all over again. Second up is lifestyle companies, in which the entrepreneur works to live. “They build their business in a way that funds the lifestyle that they want to have,” Sorensen added. “While most people think lifestyle businesses aren’t successful, when done right, they can in fact be a very successful model. Delving deeper, Sorensen outlined growth businesses as those that aspire to “go up to the right” on a consistent basis, with plans in place to increase revenues and profitability. “These are the types of companies that people really want to buy,” Sorensen explained. “Because there’s a good probability that they will produce a return on investment. 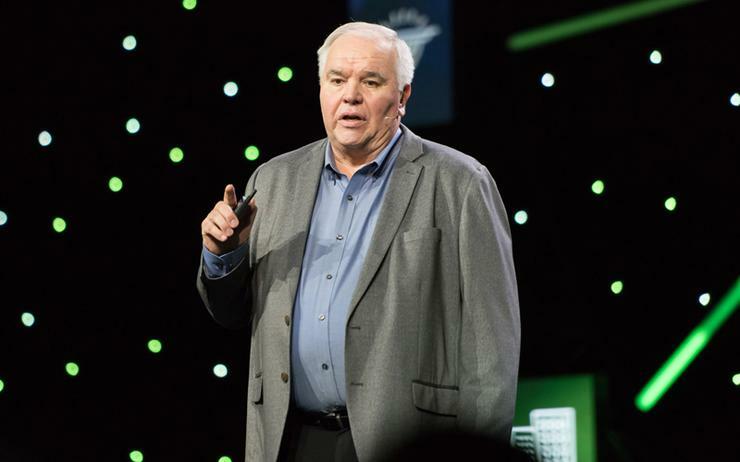 As the channel arrives at a crossroads, a crossroads dominated by M&A, Sorensen is a voice of authority on the topic, speaking as the founder of HTG Peer Groups (HTG), a community of IT solution providers that includes more than 500 member companies throughout North America, Asia Pacific and EMEA. The business was acquired by ConnectWise in early 2018, leveraging a strategic alliance that spans more than 10 years. “All businesses start out in the muscle and feel stage,” Sorensen observed. “It’s tough to grow a business and muscle and feel is where all companies start. “An entrepreneur probably accidentally starts a business because they are good at either taking care of the customer or fixing things. Then they hire other people around them because they can’t keep up and all of a sudden, they are trying to run a company. According to Sorensen, the biggest mistakes partners make in terms of business maturity is alluding to the misplaced belief that hard work guarantees success. “If partners don’t remember anything else I say, then they need to remember this,” Sorensen clarified. “People believe that if they work hard in their business, someday that’s going to translate into revenue or even a sale, with value. Sorensen recalled a recent call from the owner of an MSP, in which the individual outlined how he had logged more than 100 hours of work a week in management, during the past eight weeks. Shaking his head in disagreement, Sorensen said the business owner was seeking a “pat on the back”, in recognition of the efforts and determination on display. “I said, ‘man, this is not how you get there’,” Sorensen said. “Working hard is never going to get you to where you want to go. We have to work obviously but it’s important that we understand what has value in the marketplace. In moving beyond muscle and feel to the next phase of growth, Sorensen said partners can then begin to manage towards “what good looks like”. The power of such a group is evident in the recent mega merger of PowerNet IT Solutions and Evolve IT, resulting in the creation of an MSP with more than 50 years of market experience. As revealed by ARN, the merger leveraged both company’s "longstanding membership and involvement" with HTG. “We benchmark financials in our peer groups, and when people come to their first meeting, a lot of time they walk in thinking they are doing really well until they are benchmarked and realise areas exist where they can do better,” Sorensen explained. 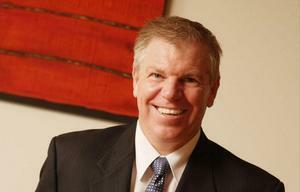 The way to achieve that is through planning, outlined Sorensen. Speaking as an entrepreneur, Sorensen acknowledged that the attraction of running a business is centred around the desire to “be your own boss”. But such a desire can become a distraction over time. For Sorensen, business owners must widen the circle of influence to build out teams capable of executing on such ideas, as a way to help move an otherwise stagnant company in the right direction. “As an entrepreneur, we’re going to run out of gas at some point, we cannot carry the company to the end on our own,” Sorensen added. “We have to be surrounded by good people and get them on the same page. And that’s where strategy comes into the picture, we have to act with the end in mind. "We have to know where we are trying to go with our legacy and communicate that with our teams. We’re committed to helping you grow your company and move towards a more mature place."